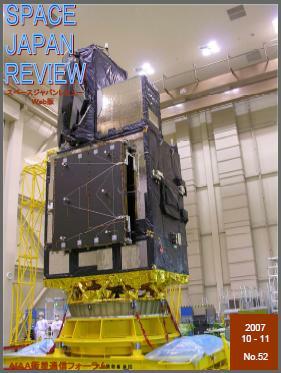 Currently, 20 communications or broadcasting satellites are commercially operated in Japan, all of which were procured from foreign manufacturers. In mid-1980, Japan decided that all satellites for government use must be openly procured through the world markets. As a result, Japanese satellite manufacturers were slow in acquiring the technological capability of manufacturing satellites." Executive Director of JAXA, Dr. Yasushi Horikawa talks recent satellite communication technologies in Japan. Mr. Yoshiaki Suzuki reports the JUSTSAP (Japan-U.S. Science, Technology & Space Applications Program) Symposium, which was held from 12 to 15 November 2007 at Waikoloa Marriott Hotel in Hawaii Island. This Symposium is held annually to exchange opinions and information regarding to cooperation in science, technology and space developments between Japan and U.S. and JUSTSAP2007 is 17th since started in 1990. The theme is "Expanding International Collaboration for Space Exploration.